Also: Join us at Party on Park on Sep 30th! Vote for us in a competition to win $50,000 to keep our program going for the next two years! 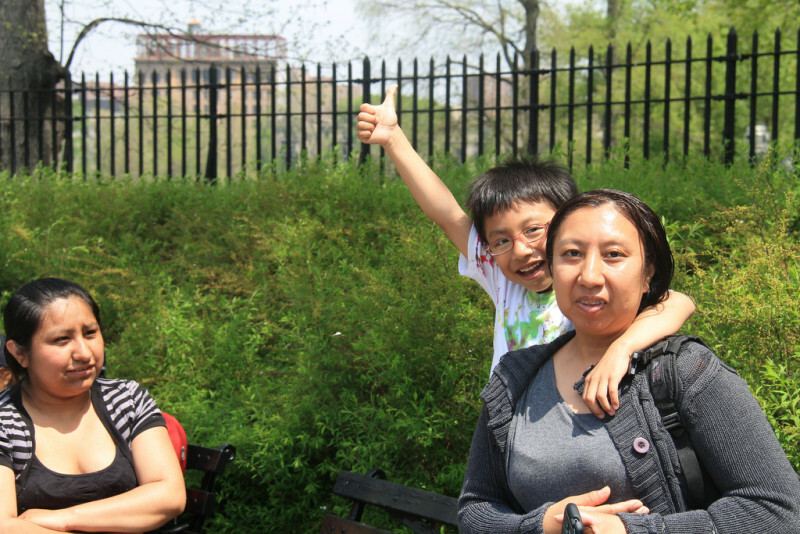 Cada Paso is a weekend walking program for families in East Harlem, formed in partnership between Little Sisters of the Assumption Family Health Service and local health providers. Although East Harlem endures greater health disparities compared with other parts of New York City, it is fortunate to have multiple health and social resources within the two square miles that comprise the neighborhood. Cada Paso’s year-round evolving curriculum of walks are tailored to address parents’ health concerns. By combining the physical activity of walking with educational content, conversation with allied health professionals, social networking and on-the-spot access to health resources we endeavor to empower families with the tools to preserve and enhance their health and achievement. Our families also participate in neighborhood transformation initiatives, to promote health and achievement for the whole community. To join us or to learn more, you can contact us here. We welcome families and co-leaders! Cada Paso joined the Randall’s Island “Get Hooked” event.